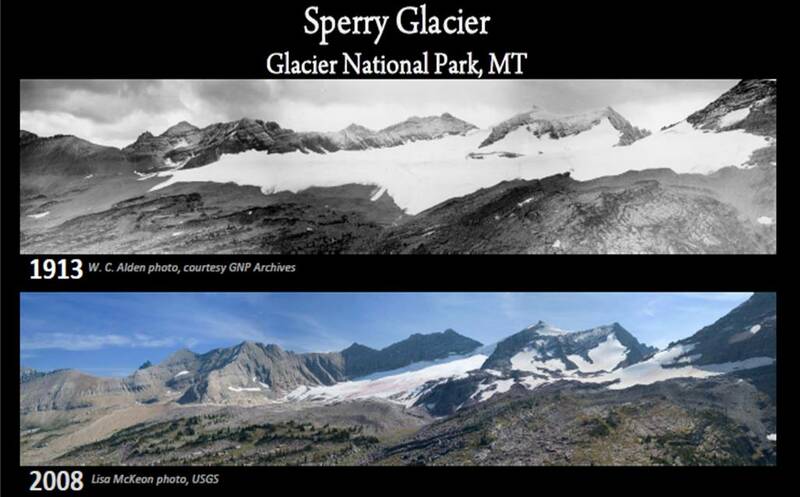 Home » Uncategorized » Welcome to Glacier-LESS National Park folks!! Welcome to Glacier-LESS National Park folks!! 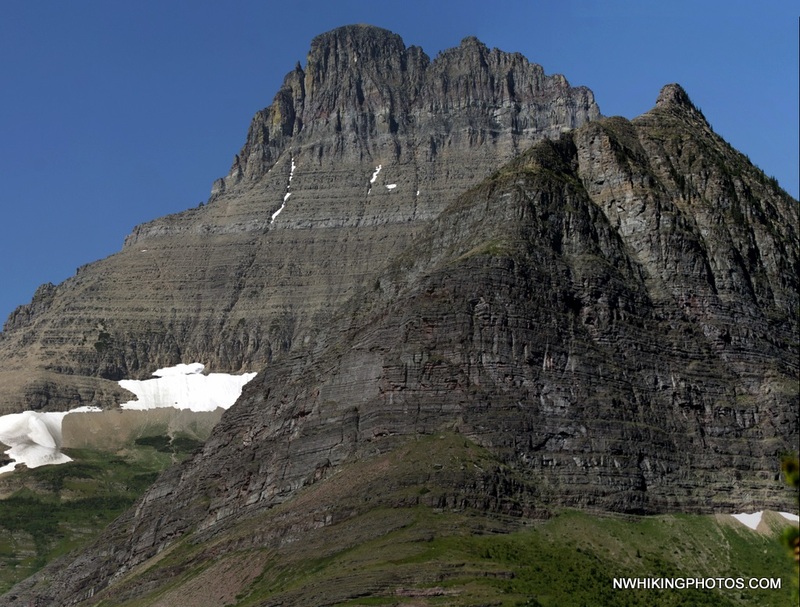 I know it looks kind of majestic and “rocky” but this is one of many gorgeous Glacier National Park mountain peaks stripped bare of it’s snow mantle because of global warming. This is the same global warming by the way, that is still held in full denial by many prominent politicians of the USA today. Global warming is a man made phenomenon that each and every one of us has made a daily contribution to in our own small way. It doesn’t matter whether that way was driving to the 7-Eleven when we could have walked, or being part of some air choking industry that belches tons of air killing pollution into the atmosphere on a daily basis. Some folks call it “progress” but progress sometimes has a price and that price is something we get to see every day in those as fragile as our senior citizens. Every time I visit a retirement community, one of the first things I get to see when walking in, is an oxygen apparatus of some sort that belongs to an older person. They wouldn’t be able to keep the proper amount of air in their lungs to breath otherwise and I’m not saying that this problem is 100% man made but we are surely a contributor. Just as our rivers, lakes and mountains need snow and clean air to thrive on, our older citizens require cleaner air to breath and that’s not going to happen by cutting down our forests and turning them into deserts in order to create more factories and sub-divisions filling the air with smoke and exhaust. Before you get totally depressed, here’s a little something to think about. Almost a hundred years ago, there was a bright young man named Henry Ford who, as some of you know, had a little something to do with the mass creation of the automobile. It’s kind of a double edged sword because the automobile today, is one of our worst polluters and in those days, pollution was unheard of. Henry was a brilliant man and a thinker, and one of the things that concerned him was how to make a car with body components that were stronger, lighter, grew out of the ground and could possibly be formed in a mold! The product he chose to work with, was an agricultural product which through politics and greed soon after became illegal to grow in our country. It’s name is HEMP. Don’t knock it folks! Hemp is being used today by manufacturers elsewhere in the world in some of the most expensive automobiles you can buy because it makes components lighter, stronger, and greatly improves performance over metal! I don’t need to go into a long litany about the virtues of this plant. 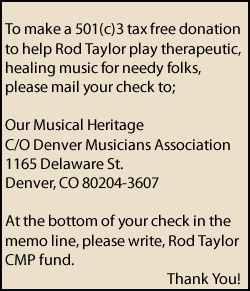 They have been well documented, and because of laws passed in 2014, hemp is now being grown as an industrial crop in Colorado. With any luck (and good supervision) we should soon be seeing it’s benefits throughout industry and society. Those benefits can be found in food, medicines, clothing, construction and a myriad of other applications. The list goes on and on and the only thing I don’t believe it can do is give our politicians a brain enema which will help them see the light! Then again, I don’t believe politicians can see the green of plants. The only green they recognize is money! Maybe that’s a little harsh but it’s certainly the impression I’m left with today! What is laugh-out-loud funny is that even though many nay-Sayers condemn hemp as a despicable weed, consumers like you and I still go to “health food” stores to buy “healthy” products like hemp seed which is currently being grown in countries like Canada. What’s the deal? When it grows in Canada it’s healthy, but if we grow it here, it’s a horrible weed? Hopefully that changes relatively soon and we’ll be able to go to our local retail shops to buy home grown hemp seed, hemp clothing, hemp paper products etc. I know I’m starting to sound like an endless rant and maybe I am, but we don’t need politicians to do our thinking. Let’s tell Mitch and the guys where to put their precious pipeline! We’ve got a solution to the oil problem growing right here in Colorado, and by the way Mitch, it’s non sulfuric, does not pollute, and we can grow a bunch of it! We can produce all the oil we need and clean up our air and environment at the same time! It sure would be nice to see people breathing easier and see snow on those mountain peaks in Glacier Park again!